When I was a little girl, I ABSOLUTELY LOVED dressing my baby dolls in cute clothes and wrapping them in a blanket. I would have gone CRAZY if I could have had the same clothing and/or blanket as my dolls. 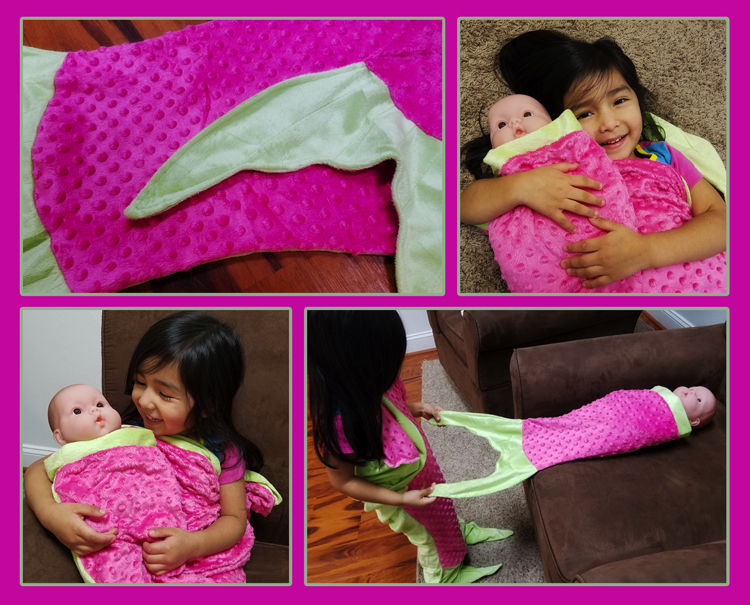 Posh Peanut has a brand new and absolutely adorable mermaid blanket. The best part?! It comes with a MATCHING mermaid blanket for your daughter’s doll! She is going to go crazy like my daughter did!! !